San Diego trio Creature Canyon’s catchy “Hurricane” encapsulates love’s rollercoaster of paradoxical emotions through buoyant music and dark lyrics. Being in love can make you experience euphoric highs, where fear is effortlessly eliminated and you feel abnormally invincible – but love isn’t always smooth sailing. Unrequited feelings can cause seemingly endless anguish, while impassioned arguments can easily inflict sorrowful suffering and mournful regret. With a palpable enthusiasm, Creature Canyon’s new single “Hurricane” encapsulates these paradoxical emotions that form our own singular experience of love. Atwood Magazine is proud to be premiering “Hurricane,” the latest single from Creature Canyon’s forthcoming EP Did You Want That (independently out October 19th, 2018). Based in San Diego, Creature Canyon consists of Southern California natives Austin Steele, Ryan Amyot, and Kyle Victoria, who have crafted their own niche in the ever-evolving genre of indie rock. 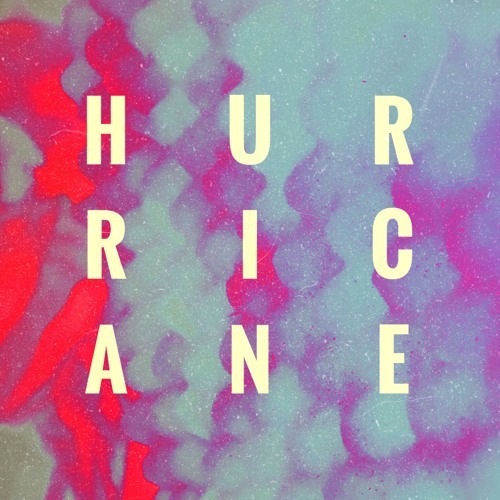 Creature Canyon’s “Hurricane” conveys the distinct, unsettling rollercoaster of emotions that love thrusts upon us in an exceptional fashion. Pleasant, buoyant guitar rhythms represent a sense of elated jubilation whilst the song’s scintillating lyrics depict love’s darker, more difficult side. The interplay of different emotions throughout is illuminatingly intoxicating. “Hurricane” represents a slight change in sound for the trio. Creature Canyon’s 2016 debut single “Like I Know,” as well as last month’s offering “Did You Want That,” convey emotion more directly through melancholy, earnest instrumentation with a bluesy edge. “Hurricane” retains the witty lyricism and spirited vocal delivery of the band’s previous offerings, while triumphantly showcasing the diversity, evolution, and ingenuity of Creature Canyon. “’Hurricane’ is about the weather of a rocky relationship. It’s about the ups and downs of unstable emotions resolving in letting things go,” Creature Canyon’s Austin Steele tells Atwood Magazine. Capturing the “ups” through an astute use of exultant melody, Creature Canyon focus their lyrics entirely on that side of love rooted in perplexing bewilderment and aggravating disorientation. An incredibly catchy chorus and sprightly guitar riffs play a pivotal part in making “Hurricane” such a luminous offering. Even with its short run time (under 2 minutes), Creature Canyon manage to admirably cram in a plentiful amount of incandescent energy and animated giddiness. Stream Creature Canyon’s newest song exclusively on Atwood Magazine, and stay tuned for their upcoming EP, Did You Want That, out October 19th, 2018!